Most large corporates regard transfer pricing as one of the most significant areas of tax risk. Intercompany agreements have long been recognised as an essential part of transfer pricing risk management. Although this aspect is often “owned” by the tax functions of large corporates, the members of those teams are often unaware of the wider implications of intercompany agreements, including enforcement and defence of intellectual property, ring-fencing liability risks, limiting directors’ exposure to personal liabilities, and corporate governance. In-house legal teams therefore have a critical role to play in providing or procuring appropriate support. 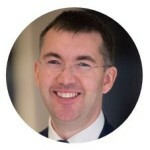 LCN Legal has launched a series of free seminars to educate in-house legal counsel on transfer pricing, the role of intercompany agreements, and how to implement and maintain them. These free training sessions are exclusively for legal counsel in large multinational corporates. For details of our training sessions for in-house tax, transfer pricing and finance teams on intercompany agreements, click here. 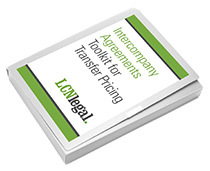 The practicalities of putting in place legal agreements to support a group’s transfer pricing strategy. What does transfer pricing documentation look like? What role do intercompany agreements play? Each seminar will run for approximately 90 minutes. Each session will have no more than 5 delegates, to allow participants to ask their own questions at the end.